. يعمل Fremantle Stay WA على ضمان إقامة مريحة لضيوفه من خلال خدماته الممتازة وحسن ضيافته. يقدم هذا الفندق العديد من الخدمات الكفيلة بإرضاء أكثر الضيوف تطلباً. تنعكس أجواء Fremantle Stay WA في غرف الضيوف.تلفزيون بشاشة مسطحة, اتصال لاسلكي بالإنترنت, اتصال لاسلكي بشبكة الإنترنت (مجاني), غرف لغير المدخنين, مكيف هواء هي بعض الميزات الموجود في العديد من الغرف. كما أن مجموعة الخدمات الواسعة الموجودة في الفندق لضمان راحتك تترك لك الكثير من الخيارات لقضاء وقتك أثناء فترة إقامتك. مهما كانت أسبابك لزيارة المدينة، فإن Fremantle Stay WA هو الخيار الأفضل لإقامة مثيرة وممتعة. يرجى إبلاغ The Federal Boutique Hotel بشكل مسبق بوقت وصولك المتوقع. بإمكانك استخدام حقل الطلبات الخاصة أثناء عملية الحجز أو يمكنك التواصل مع مكان الإقامة مباشرةًً من خلال معلومات التواصل المذكورة في تأكيد الحجز. I stayed in 707 on the 7th floor and it had amazing views and really easy to get to any place in Fremantle without having to take a taxi/public transport. I will say however, a few tenants were a bit loud but this was only at 8pm, afterwards it was very quite and I felt very safe. You can tell that they had cleaned the room very thoroughly which was an amazing relief. I did have problems with the wifi, I wasn't 100% sure how I was meant to turn it on??? Maybe a bit more instructions near the modem (not that I minded as I was only there for 2 nights). Overall, amazing stay and amazing price as well! Definitely recommend for solo travellers and couples. Apartment are very comfortable and Jennifer are very friendly. 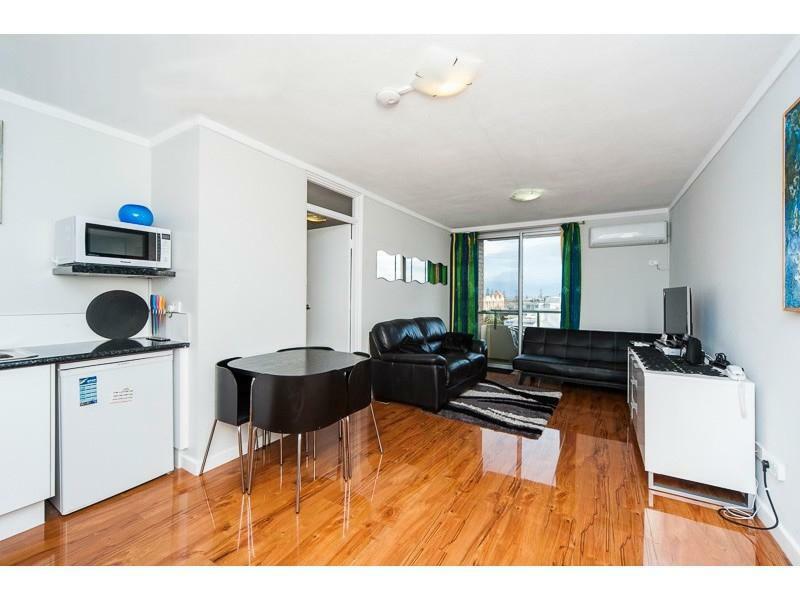 Good location, Walking distance to supermarket, Fremantle market and station. The room and building looked nothing like the pictures. It was all very old and not at all renovated as stated on site. The building was like a 60's housing commission , the lift ancient and the exposed walkway to the room terrifying. Totally over priced for what we received. Not a pleasant experience at all. We thoroughly enjoyed our stay. The location made it perfect for us to keep popping in and out between tours, restaurants and shopping. It was a cosy stay we had, love Jen's place. I would surely recommend her place to friends & if I were to visit Fremantle again, will surely stay in the apartment again. Jen's was also a friendly host & had personally welcome us during our arrival & had also given us a lot of tips for restaurants as well. Love to go back Fremantle again. Great location, friendly staffs and nice view. With a very home feeling and make people want to go back again. Excellent! Accommodation not new but clean and tidy with plenty of space and comfortable bed. Nice views over the port and out to sea with amazing sunsets. Close to transport and shops you couldn't ask for anything more. I would recommend the tram tour followed by the cruise to Perth up the Swan River and then the Hop On - Hop Off tour of Perth. Great way to see everything if you don't have much time. There was only one - a comfortable bed. Difficult access from carpark-had to negotiate tradesmen's equipment and step over electrical cables. Lifts were grubby and stairwells likewise. The poorest accommodation for price that we have ever stayed at in Australia. Great location and good facilities. Reasonable price. 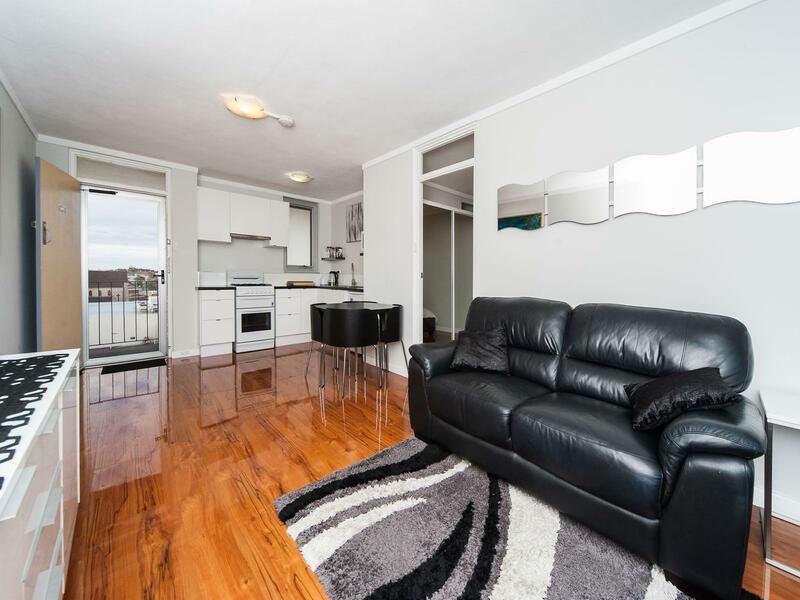 The apartment is centrally located, within easy walking distance of all Fremantle has to offer. It is clean and well set out, with a fully equipped kitchen and laundry downstairs. The owner met us personally and could not have been more pleasant and helpful. This was our first time staying in Perth and an ideal location, so thank you. Central Location with off street parking. Hotel is a one room appartment in a home unit block on the 8th floor ehich offers a great view of Freo. The room had full kitchen facilities where you could self cater. Located in central Freo all the attractions were accessable with a short walk. The room was well equiped for a comfortable stay.